Anyways, this video is recorded in the right moment! Namely, the guy recording, turned on his camera right when this ZR48 Corvette boat was trying to get away from the coast guard. And it did it with no difficulties at all. 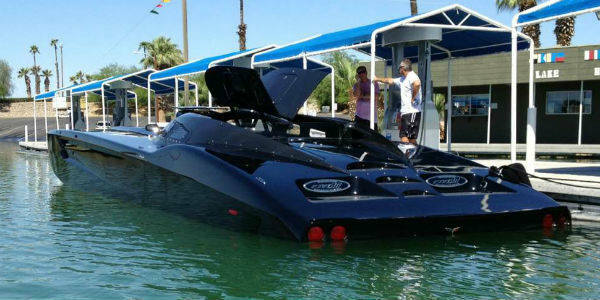 After that, this boat is recorded speeding way off shore at a velocity of something between 85 and 100 miles per hour. Because getting away from the coast guard was not enough, this boat came back closer to the shore. 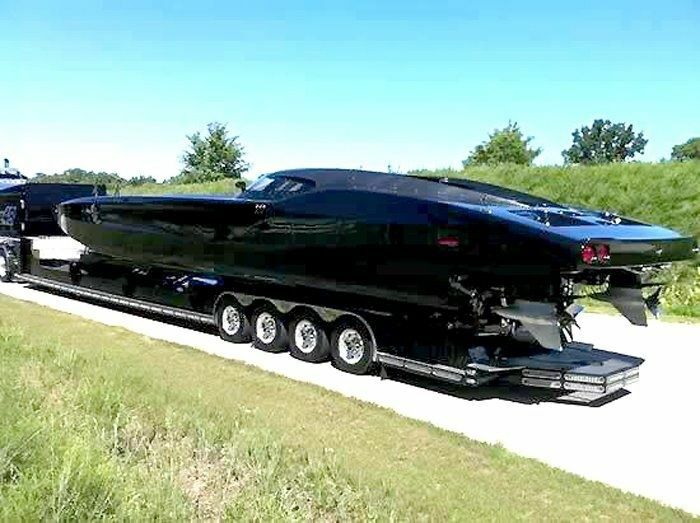 But eventually, it will have to be loaded on a trailer at a certain point.This astonishing MTI built ZR1 Corvette themed Speedboat is powered by two Mercury Racing Twin Turbo Marine Engines and it is fully carbon-fibered! Thanks to the engines and the lightness, it can develop 2700 horses on water, which is, without a doubt a massive power for a boat. Nevertheless, not only the exterior and machine look stunning, this ZR48 Corvette boat has an impressive interior as well. It includes 8.000W stereo system, 24.000 BTU AC system, Apple TV and private Wi-Fi connection. 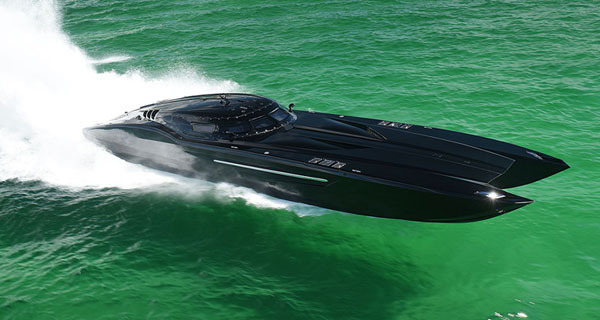 If you ever thought of buying this marvelous ZR48 beauty, then be prepared to spend $1.7 MILLION! Besides the boat, this price also includes the trailer as well! That would be all from us.